The company previously worked with Industry Group. NEW YORK: Stroller-maker Bugaboo has selected Havas Formula as its North American AOR to help the brand build awareness and exposure. The account’s RFP was issued in late summer, with the search consisting of a "competitive" three-round review. Havas Formula was selected out of a "handful of finalists," and started work with Bugaboo in October, said Maria Montaño, GM of Bugaboo North America. The contract is for one year. Havas Formula is driving Bugaboo’s US PR strategy to include ambassador and influencer campaigns, product-launch support, partnerships, and media relations. 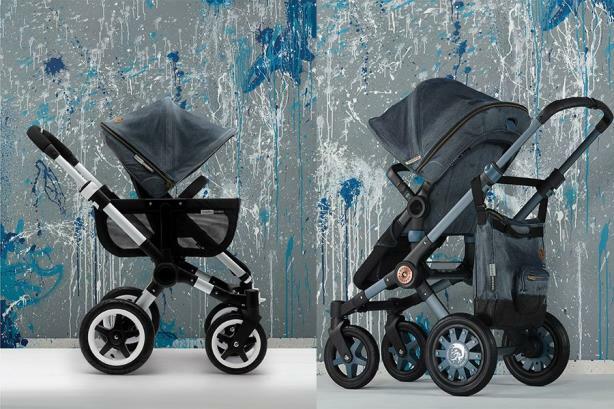 The firm is helping Bugaboo get visibility in the US by targeting parents and parents-to-be. "They are helping us craft and implement our PR strategies for the US and helping us get our message across, which is that Bugaboo is about bringing freedom of movement to consumers," said Montaño. "We have a great quality story and amazing function and design, so Havas is tasked with bringing all that to the forefront in the US." Havas Formula will tap into its network of influencer and media relationships on national and regional levels to increase editorial coverage in outlets aimed at Bugaboo’s target audience. "We are a strategic partner; this is about Bugaboo reigniting its brand in the US and very centric on the West and East Coast – so hot spots are New York and Los Angeles," said Michael Olguin, president of Havas Formula. "We will be identifying influencers such as mommy bloggers or those with heavy social footprints." Montaño said Bugaboo "fell in love" with Havas due to its strategic approach and vision for the future of the company. The firm’s consumer east division in its New York office, led by VP Katie Lippman, is spearheading account work. Five staffers are working on the business. Budget information was not disclosed. "We are excited about this because Havas Formula has tremendous experience in the mom space," said Olguin. "This is a combination of a really important mommy brand, and it is the epitome of a fashion brand. This is one of those fanatical brands – people love this brand." Industry Group, the incumbent on the account, will end its relationship with Bugaboo at the end of the month. A representative from Industry Group was not immediately available for comment. "We have nothing but positive things to say about [Industry Group]," said Montaño. When asked why Bugaboo began searching for a new agency partner, Montaño explained that the company has been developing a long-term strategy and wanted to find a partner that could "help us get where we want to go in five years, not just today." Last year, Havas acquired Formula PR, which had revenues of $13.1 million in 2013, and rebranded it as Havas Formula.